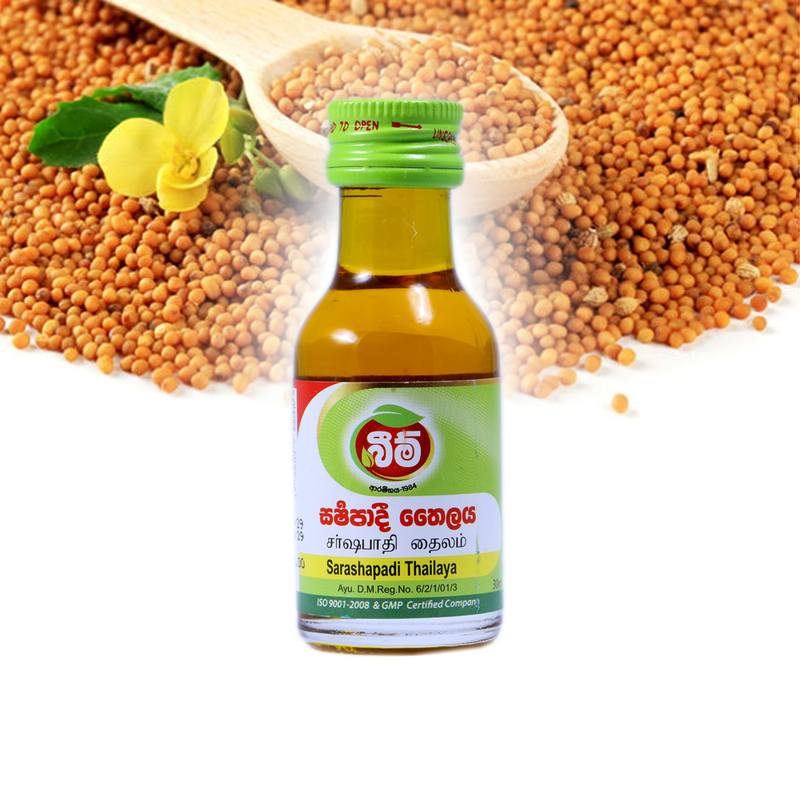 Ingrediants Mustard Oil (Brassica juncea) , Turpentine, Wandu kapuru (Cinnamomum capparu-coronde) and etc. Therapeutic Effects This will helps to relieve from Chronic pain, swellings due to rheumatism, Arthritis, Neuralgia, Contusion, Sprains, Cough, Cold and Bronchial Asthma. ගුණ: කල්ගත වූ ආමවාත, සන්ධි වේදනා, වාත වේදනා, තැලීම් සහ ඉදිමුම වැනි අවස්ථා වලට ඉතා ගුණදායකයි. ප‍්‍රතිශ්‍යාව, කැස්ස, ඇඳුම වැනි පෙනහළු වල සෙම පවතින අවස්ථාවලදී බාල මහළු කාටත් බාහිර ආලේපයක් වශයෙන් විශේෂ ගුණදායකයි.